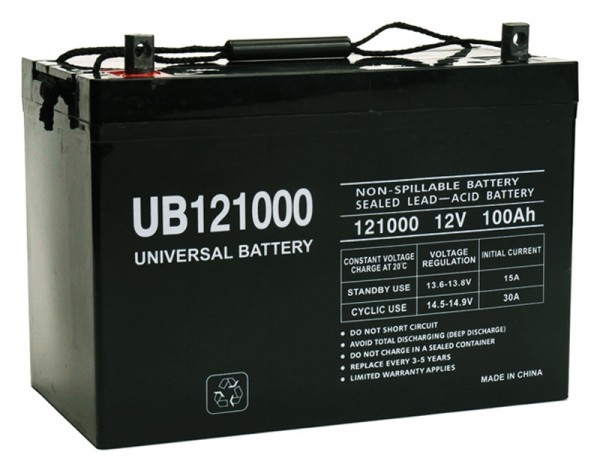 This UB121000 is a 100ah sealed lead-acid (SLA) absorbed glass mat (AGM) rechargeable battery. AGM and GEL batteries are lead-acid and of the same battery chemistry. This battery comes already charged, sealed,and maintenance free. Premium quality absorbed glass mat technology is perfect for use in solar applications.